Directed by Virinchi Varma, Majnu is a romantic-comedy drama starring Natural Star Nani along side Malayalam actress Anu Emmanuel, who is making her Telugu debut. The movie also has Vennela Kishore, Priya Shri and Posani Krishna Murali in the supporting roles. This is Nani’s thrid movie this year and is a highly anticipated film after Krishna Gaadi Veera Prema Gaadha and Gentleman. For fans of Dhanush, ita��s a treat this weekend. The actor plays a railway pantry worker in Rail, a romantic thriller based on events that transpire on a train journey. The movie will see the Dhanush-Prabhu Solomon combo for the first time, with Keerthy Suresh, Ganesh Venkatraman, Thambi Ramaiah and Nasser, among others. Reportedly, the film boasts a canvas much larger than earlier Solomon films. A romantic drama produced by Nagarjuna Akkineni and Nimmagadda Prasad under the banner of Annapurna Studios and Matrix Team Works, Nirmala Convent has debutant Roshan Meka and child artist Shriya Sharma in the lead roles. The special segment in the film is that Nagarjuna has crooned a special song in his voice after 17 years. The film is about two families who are warring over a piece of land, and their children fall in love with each other. The whole of last week, I have been reading posts on the Taapsee Pannu-Amitabh Bachchan starrer Pink. 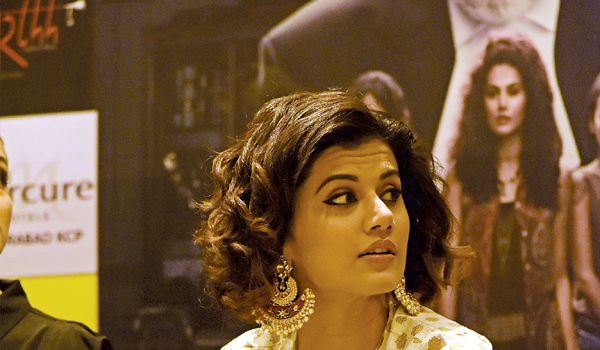 Taapsee was here in the city with her co-stars as well and was spotted at various destinations promoting her film with gusto. For a while I thought it was a venture by our very own government. I will be apolitical here. Ask any toddler in the city what the letter a�?ma�� stands for? Music for sure and of course movies. The word movies is apt in every context here. Firstly, images move on screen. Secondly, it moves people physically from place to place even when rains lash the city or in crazy traffic jams as theatres were booked up even last week when it rained heavily. During theA�days when it does not rain, it is even more full. Lastly, it also moves people emotionally as they get so engrossed in rating and discussing it. Now, that sounds like a forced context, but you get the point right? From Facebook to private blogs to newspapers, we have the first report out soon after release. Every viewer becomes a critic or channel. It is funny, candid and personal. Some of them have started rating these movies with numbers too making it measurable. The concept reminds me of some food advertisement that had a slogan-health bhi aur taste bhi.A� Review bhi aur rating bhi. I know a few aspiringa�s film producersa�� who rate films and spill out the plot in their privately circulated WhatsApp reviews. Their knowledge of English might not be spot on but their comments are hilarious. I remember a line from one such a review- a�?first off full mother sentiment.a�� PS: Off refers to half. How do movie makers feel about this? Many small budget film-makers are happy because the word spreads around and is mostly encouraging. The big ones are upset because the hype that precedes a movie is much greater than the actual response after the film. More often than not people rate the performance and attribute the negatives to the star actor. But the bottomline is we love movies. We want to express and we cannot stay quiet. We need to share our opinions. Moreover, our sense of humour is always bang on. All these make us get away with even murder. Whether it is Ajita��s dialogue with Raabert or a super duper Bahubali.. we just love it and live it. Just heard that maverick director Ram Gopal Varma is starting a new Sarkaar. If you want the story just be active on social media. It may be out even before RGV himself knows it. Sundays must be special and the best things in life lined up strategically to ensure it is the queen of the week. Smaaash at Inorbit Mall, Madhapur, takes the weekend seriously and has put together food, fun, games, music and freebies in one package. a�?We have started the Sunday brunch pretty late in the day (12 pm to 4 pm) with lavish buffet so that you can then spend the lazy afternoon gaming. No weekend should pass without a pampering session,a�? says Ravi Patel, general manager. Executive chef manager G Sarath talks about how the team created the spread that includes soups, salads, grills, pastas, pizzas, desserts and more. 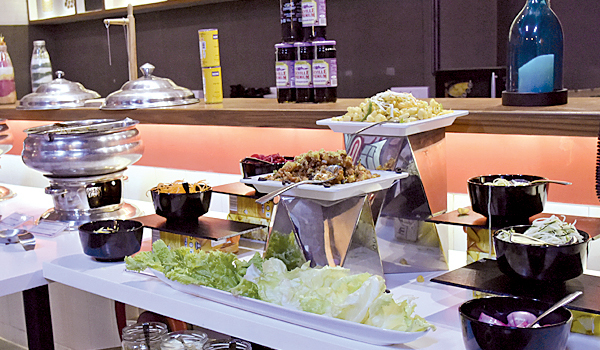 a�?We also have a great choice of eggs to suit your taste and an exotic salad bar where you can make your own salad, unlimited starters etc options.a�? The pastas, pizzas and chocolate milkshakes seem to be most popular with repeat orders every Sunday. If the calories you just consumed is making you feel guilty, Smaaash is giving you a reason to burn calories by offering 10 arcade games free for every guest. From adventure games like Vertigo to Extreme hang gliding and the trampoline, they have a good variety. B- school as she wanted to devote time to her only love: baking. 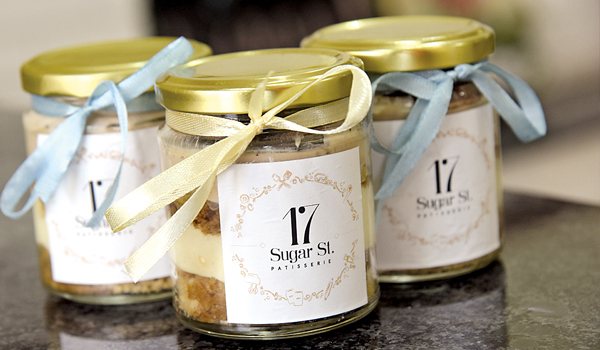 This 24-year-old pA?tisserie proprietor at 17 Sugar Street, Secuderabad has come up with her concept studio to cater to the changing dessert palette.A�From vegan to gluten-free varieties and the usual cheesecake and tiramisu, customisation is key her. a�?I have clients with diverse flavour profiles, different sugar preferences, to keto dieters.a�? The studio, which is still a work in progress, is yet to come up with a retail outlet and only supplies on pre-orders. A bake sale was held here last week and word of mouth ensured that it was sold out in two hours. a�?Our website will be functional from next week onwards and you can check out our profile there,a�? says the baker who attended the Lavonne Academy of Baking Science & Pastry Arts in Bengaluru. Ishitaa��s works at deconstructing desserts, breaking down the ingredients and trying different recipes. Take, for example, her Chilean Chocolate Tart. a�?We use superior quality cocoa butter. Instead of a tart shell, we go for discs and piped chocolate ganache with cayenne pepper, paprika and sprinkled chilli sugar.a�? We tried the mini cheese cake. a�?The recipe of our cheesecake is absolutely original,a�? she says. In case you love to splurge on high-end home dA�cor, luxury home and lifestyle brand Elvya��s Autumn Festive Fervour on September 26 at its store on Road Number 12, Banjara Hills, is right up your alley. The repertoire will comprise opulent bath, kitchen, bar and office and ornate fittings. Talking about the collection, Vandana Khosla, founder and creative head of the brand says, a�?The collection is about innovative design and luxurious dA�cor.a�? To make the range versatile she has also incorporated inspirations from the world over, be it Turkish influences to Victorian accents, therea��s a marriage of the modern and the traditional to create pieces that are contemporary and well-crafted. The must-buys from the range are pieces from the Mughal collection that comprises exclusive bath accessories fit for royalty. The products have intricate cutwork pattern and nickel finish that not only adds beauty but lends a serene touch. The Cristalline collection boasts of votives that comes in black cups, with studded butterfly fixture on the lid and a golden beehive texture on the surfaces filled with a light scented soy and palm wax. 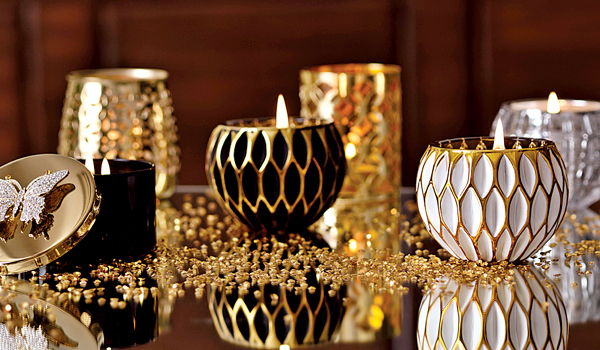 The Shimmer votives and Camelia table lamp come in handy for festive lightings. The latter will find favour with those who want to add retro oomph to their homes. Lastly, for those who want to serve their Pinot Noirs and Merlots well, barware from Sovereign Collection handcrafted in faux leather is your best bet. IF you subscribe to socially responsible and eco-friendly concepts, then the first pop-up event by Bengaluru-based multi-brand luxury retailer, Indelust at Olive Bistro will appeal to you. The priestesses of high-fashion can take their pick this Saturday from a host of established and independent designers who follow a a�?code of ethicsa�� stipulated by the brand in association with a New York-based organisation called the NEST. The code helps mandate ethical production means and make sure employees get fair wages. a�?This year, in fashion weeks from Sydney to Milan designers focussed on sustainable fashion, using ethical practices,a�? 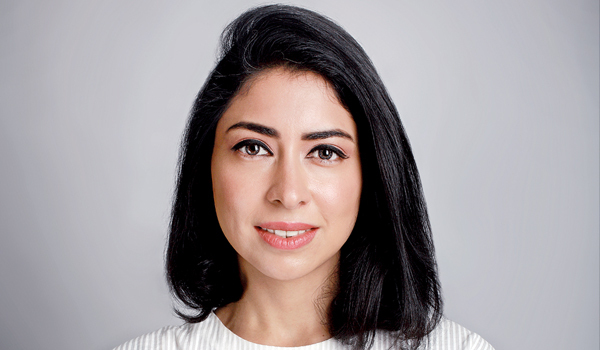 says Sana Rezwan Sait, founder and creative director at Indelust. 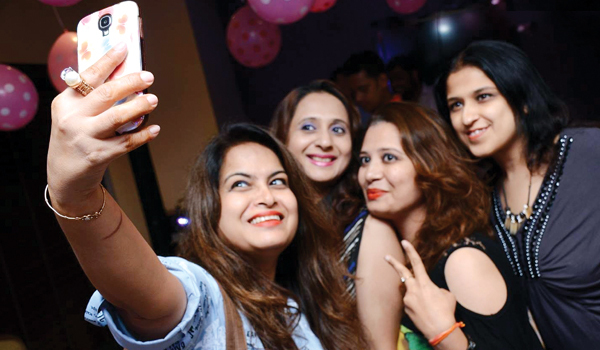 If the world is catching up, can Hyderabadis be far behind? a�?Since we have many patrons from here who have visited our store, bought from us online, coming here was an obvious choice,a�? says Divya Ramesan, digital and communications manager. Fashion ace Rahul Mishraa��s collection will be a one of the top things to check out at the pop-up. A regular at the Paris Fashion Week, the winner of International Woolmark Prize.His outfits adorn the wardrobes of the likes of Kareena Kapoor Khan. His collection comprises hand-embroidered pieces from his last two season’s of work. There will be jackets, dresses and light summer jackets. His outfits will use his signature lotus motifs and designs inspired by the constellations and village landscape. Mishra uses merino wool from Australian farms and they are ethically sourced. There will be a collection of ethnic wear by Pankaj and Nidhi and the colours, cuts, styles have been customised for the brand. One can also shop for high-end childrena��s wear from Neon and Liz Jacob, brands which use organic cotton that is pre-washed and vegetable dyes.The latter, for instance has hand-painted pieces. a�?Apart from that the collection will comprise the works of Payal Singhal, and Kavita Bhatia and many more. It also features shoes from Sanchita Ajjampur who blends global styles with indigenous techniques,a�? informs Sana. Shaaz Mehmood, Partner for Olive Bistro, Hyderabad says a�?The Mediterranean look of the place made it an ideal venue. The perfect time to visit the pop-up would be around 4 pm, you can shop, enjoy the view of sunset, sip on your sangria and shop. That’s what we imagine people doing.a�? Ita��s always fascinating when therea��s a story behind your drink and the new menu at Marco Polo, ITC Kakatiya, is full of timeless classics with an Indian twist to it. With the flavour of the local produce, the drinks made with fresh fruits and leaves have just the right content of alcohol, not too overpowering but good enough to give you a buzz. Try the chocolate margarita made with the traditional flavours of Swiss chocolate. You can also go for a margarita in cherry, apple, melon or lychee flavours. 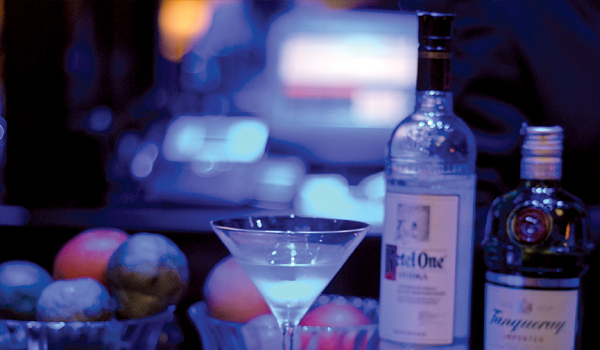 Choose between seven types of martinis and daiquiris. a�?I realised that most guests were ordering plain drinks, like beer or whiskey. There was no colour on the table. With this menu, we are able to add more colour and variety,a�? shares Rohan Kumar, Beverage Manager at Marco Polo. The standout drink this season has to be the Vesper Martini combining vodka and gin with a sweet lime peel infused into the drink. Those who arena��t a big fan of vodka/gin/rum-based cocktails can also opt for the Whiskey sour, which is made using egg whites and a tinge of lime, and is utterly delicious. When I visited the Taittinger headquarters in Champagne a few years ago, your team was upbeat about the Indian market. How have you modified your India strategy since then? To be very honest, we havena��t progressed much over the last years for India. The blame is mine as I really lack comprehension on the structure of the Indian market, due to shortage of time. I wish I could be the a�?Shiva divinitya�? with many arms to do everything at the same time. I am a perfectionist and I dona��t like to do things in a mediocre way or in a copy paste mode. This visit is to decide the strategy for the future. Addressing the challenges Champagne faces, from the popular Prosecco and other sparkling wines. The challenges are caused by us, not a reaction to Prosecco or other sparkling wines. We are our own enemies.The main challenge is to explain to our consumers that Champagne is a symbol of love, happiness, and an extraordinary complex wine to make. What can we expect from Domaine Evremond, the wine company that will produce Taittinger sparkling wines in Kent, the UK, following the first harvest in 2020? You can expect good wines that we will be proud to make and sell. The UK is the first a�?sparkling nationa�? after France and very close to our country. It will be a signature cuvee in the typical Taittinger style a��light, pure, feminine and elegant. Is there a market for your great cuvees in India? 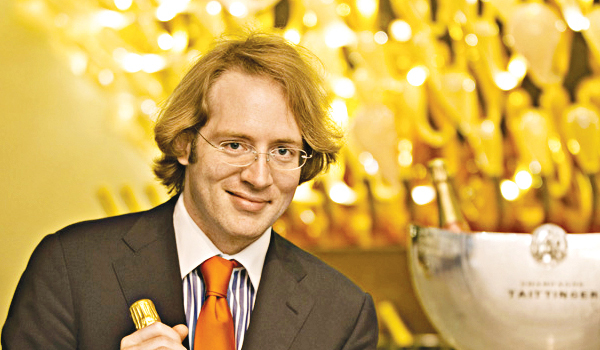 There is definitely a market for the great cuvees and, among them, the Comtes de Champagne Blanc de Blancs and RosA�. I just have to do my job and explain what it is, where you can find them and that they are among the very best wines in the world. A priceless lesson you have learnt from cellar master Loic Dupont? To make something complex very simple. Loic is extremely modest and never compromises. The best part of your 1,800-year-old cellars? The silence. It is essential to compose great wines.